Extra heavy duty all welded 12 ga. steel construction. 7 ga. recessed knuckle hinges to prevent sagging. Secure 3-point cast steel locking handle with 3/8" diameter rods and provision for a padlock (padlock not provided). 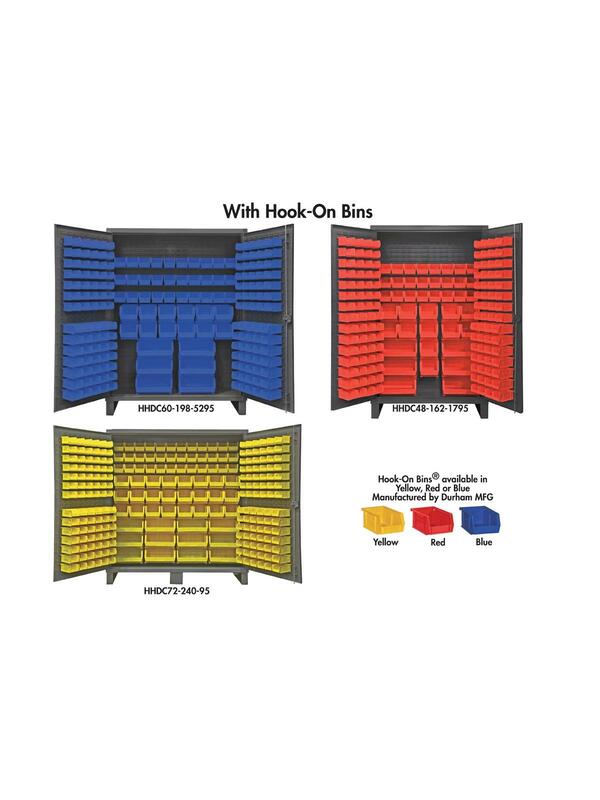 Cabinets with shelves feature shelves that bolt into place easily using fasteners provided and adjust on 2-1/2" centers. 6" H base/legs which provide access for forklifts (constructed of 3/16" steel). Pre-drilled holes allow for lagging to the floor. 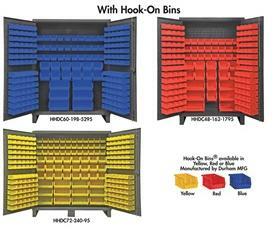 Fully welded louvered panels reinforce door and hold Hook-On Bins®. 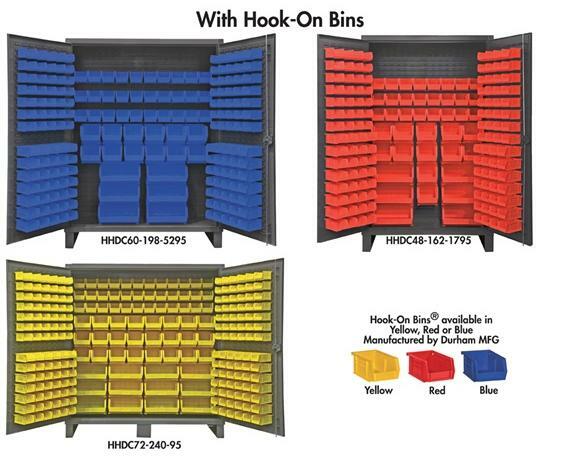 Hook-On Bins® available in Yellow (-95), Red (-1795), or Blue (-5295). Allows weight capacity of 800 lbs. per door (evenly distributed). Durable Gray powder coat finish. FOB Shipping Point. (120) 4 x 5 x 3"
4 Shelves - 1200 lbs.